General Hospital spoilers for Monday, April 16 reveal Ava Jerome (Maura West) is about to become her own worst enemy as she can’t handle boyfriend, Dr. Griffin Munro (Matt Cohen) keeping secrets from her; even if they are doctor-patient related. She is desperate to find out what he is hiding from her, as fans already know she stole a peek at the papers he intended to destroy and discovered they were DNA results but has no idea whose they were. Meanwhile, at GH, spoilers from She Knows say Griffin questions Dr. Hamilton Finn (Michael Easton) on how Anna Devane (Finola Hughes) is doing. Will Griffin ever reveal that he knows Peter August (Wes Ramsey) is really Henrik Faison? 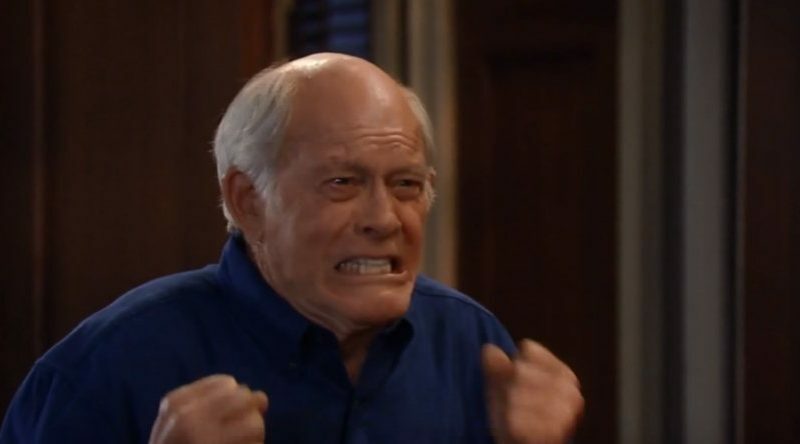 Anna argues with Robert Scorpio (Tristan Rogers), admitting that she is every bit as responsible for creating Henrik as Faison was. Is Robert back to help or hinder Anna’s investigation? GH sources tease a reunion of sorts, as Jason Morgan (Steve Burton) conveniently ran into Sam Cain (Kelly Monaco) in Switzerland, while he and Anna are searching for a lead on Henrik. In the General Hospital spoilers for Monday, Jason tells Sam that he believes Henrik’s next target is his mother. Will they finally uncover the secret Anna has been desperately hiding, that she is Henrik’s mother? Read more about Jason, Drew, and Franco’s twisted family ties. GH spoilers also say that Nelle Benson (Chloe Lanier) continues to disregard Ava’s warnings and is set to destroy Carly Corinthos (Laura Wright). Nelle looks at her phone and appears to discover something of interest. What caught Nelle’s eye and what will she do next? Spoilers say that Nelle manipulates Ava and messes with her head. 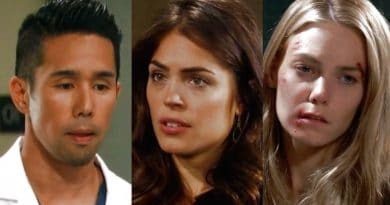 Also, General Hospital spoilers reveal that Sonny Corinthos (Maurice Benard) is furious with the nanny when he learns that she left Avery (Ava and Grace Scarola) alone with his father, Mike Corbin (Max Gail). Mike is confused and thinks that Avery is his now-dead daughter Courtney. Mike and Avery vanished from the park, but will Mike and Avery be found safe and sound? Check out 5 incredible things you never knew about GH star Rebecca Herbst! Kiki Jerome (Hayley Erin) has screen time on Monday and is doubtful about something. Surely this is more drama about creepy Dr. Bensch (James DePaiva). Carly calls out for Morgan after she gets a note on her car that read: “you can find me where you left me.” Carly is falling hook, line, and sinker for Nelle’s gaslighting. What do you think readers? Can the Corinthos family survive all this drama and trauma? Will Jason and Sam unravel the mystery surrounding Henrik and his mother? Will Ava self-destruct and ruin her relationship with Griffin? Be sure to check Soap Dirt often for General Hospital spoilers and news! ← ‘The Young and the Restless’ Spoilers: Hilary’s Got Morning Sickness – Baby News Ahead – How Will Devon React?